08/09 - NCAA1 USA - West Virginia - 33 games: 15.7 ppg, 3.6 rpg, 3.3 apg, 37% 3 point, 80% f.t. 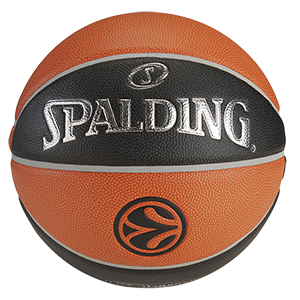 09/10 - D1 Belgium - Belgacom Liege - 37 games (Belgian league) 6.6 ppg, 1.6 rpg, 1.6 apg, 35% 3 point; 12 games (Eurochallenge) 10 ppg, 2 rpg, 3 apg, 41% 3 point. 10/11 - D1 Belgium - Okapi Aalstar - 37 games: 8.8 ppg, 3.4 rpg, 1.8 apg, 38% 3 point, 84% f.t. 11/12 - D1 Belgium - Okapi Aalstar - 9 games (Belgian league) 9.6 ppg, 3.4 rpg, 63% 2 fgp, 33% 3 point, 91% f.t. 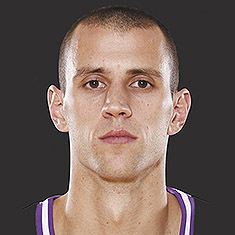 ; 3 games (Eurocup) 12 ppg, 5 rpg, 2.3 apg. 12/13 - D-League USA - Canton Charge - 24 games: 7.3 ppg, 3.5 rpg, 33% 3 point, 84% f.t., Iowa Energy (Dleague, USA) 11 games: 11 ppg, 2 rpg, 1.5 apg, 42% 3 point. Then moved to Okapi Aalstar (Ethias League, Belgium) 9 games: 9 ppg, 3.5 rpg, 30% 3 point, 86% f.t. 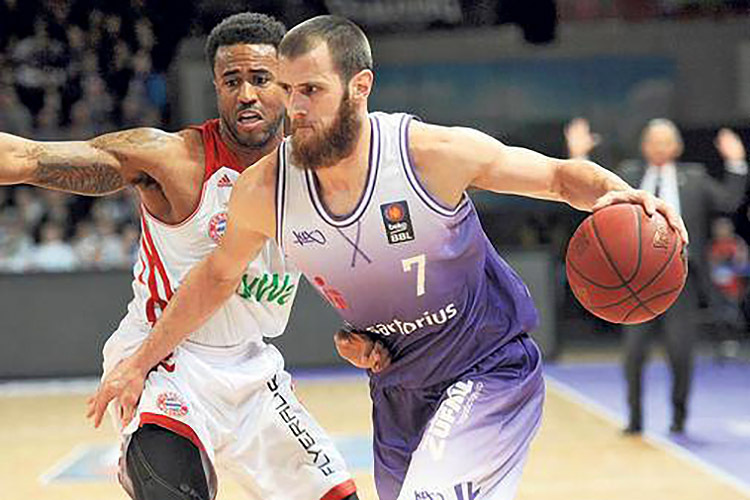 13/14 - Pro A Germany - BC Goettingen - 38 games: 17 ppg, 4.6 rpg, 4.4 apg, 56% 2 fgp, 31% 3 point, 82% f.t. 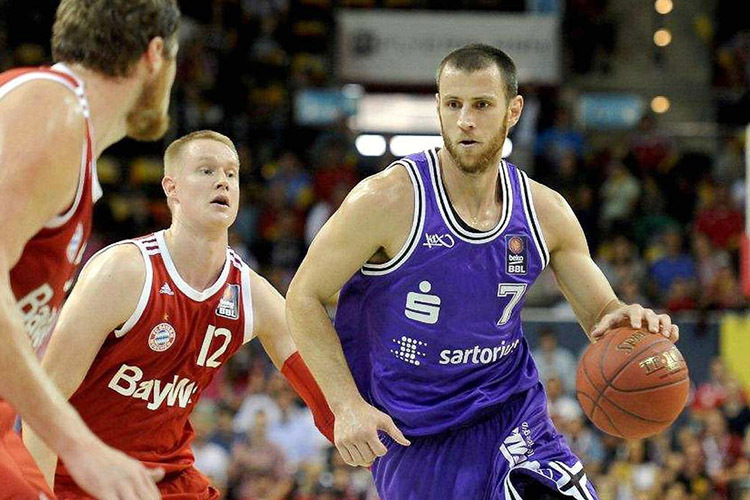 14/15 - BBL Germany - BC Goettingen - 28 games: 14.8 ppg, 4 rpg, 5 apg, 36% 3 point, 83% f.t. 16/17 - BBL Germany - BC Goettingen - 30 games: 15 ppg, 4.8 rpg, 4.7 apg, 1.8 spg, 58% 2 fgp, 28% 3 point, 83% f.t.